Ensuring authorized schools meet minimum standards related to academic quality and financial ability. Investigating institutions that may be operating illegally in the state. Considering student complaints to determine if an institution is in violation of the Degree-Granting Institutions Act. Providing a service to former students of closed institutions by providing copies of their transcripts. Investigating institutions believed to be issuing false academic credentials. The Act also protects Washington consumers from substandard, fraudulent, and deceptive activities at degree-granting colleges and universities authorized by the Washington Student Achievement Council (WSAC). 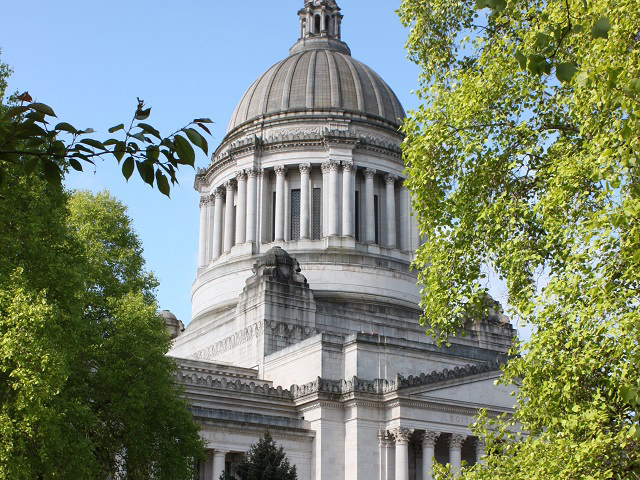 In 2012, the Washington State Legislature enacted the False Academic Credentials law, RCW 9A.60.070, which both defines and provides penalties for the issuance or use of false academic credentials. Students who believe they have lost tuition and fees as the result of unfair business practices by institutions authorized by WSAC can file a student complaint. Complaints must be filed by the student or his/her guardian no later than one year from the last date of attendance. Examples of unfair business practices including misrepresenting faculty qualifications or making false claims in a college catalog. Agency staff may investigate institutions believed to be operating in Washington State for purposes of offering degree programs. A physical presence, which can include campus location, a mailing address, or a telecommunications number in the state. Advertising or recruiting in a manner that specifically targets Washington residents. Offering distance learning degree programs that include a required field placement component that takes place in Washington. Agency staff may also investigate institutions believed to be issuing false academic credentials in Washington. Should it be determined that an institution is operating illegally in the state, staff will contact the institution in an effort to bring it into compliance or ensure that it ceases such activity in the state. It is a crime to issue or use a false academic credential in Washington. Specifically, anyone granting or offering to grant a false academic credential may be subject to a Class C felony, carrying a fine of up to $10,000 and up to five years in prison. Has not been granted accreditation by an accrediting agency recognized by the U.S. Department of Education. Has not been granted authorization, exemption, or waiver by the Washington Student Achievement Council. The law, RCW 9A.60.070, also establishes a gross misdemeanor penalty for those who falsely claim academic degrees from legitimate institutions. Colleges in Washington State have degrees and agreements to make transfers easier for students. Learn more about transfer. 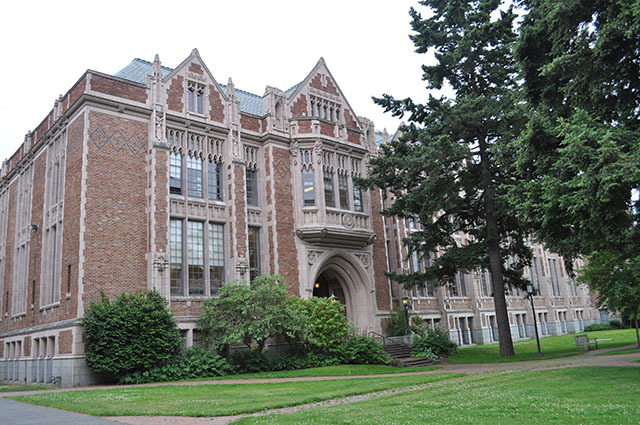 WSAC has the authority to take possession of student transcripts from an institution that closes if the transcripts be deemed in danger of destruction. WSAC also maintains student transcripts for some schools that have ceased to operate in Washington State. Only records provided to WSAC at the time of the school's closure are available—not every record or transcript for every student. WSAC provides copies to students upon request. To request a copy of your transcript, download and complete this form. If you would like to have copies sent to more than one address, complete a separate form for each addressee. A “diploma mill” or “degree mill” is generally defined as a substandard or fraudulent college that provides degrees to students who do little or no college-level work. Some diploma mills are outright frauds, sending a diploma to any applicant who pays a fee. Others may require applicants to take a few classes or document their work or life experience for credit. Spotting diploma mills can be difficult. Not all unaccredited colleges are diploma mills. Some unaccredited colleges require legitimate academic work. In most cases, schools must operate for at least two years prior to seeking accreditation. Consequently, new schools will generally not be accredited. Others, such as religious schools, may voluntarily choose not to seek accreditation. If you see two or more of these warning signs, you may be dealing with a diploma mill. You can earn degrees in significantly less time than at a traditional college or university. The college places a heavy emphasis on offering college credits for life experience. The college sends you a diploma if you pay a fee. The college lets you “buy” a grade point average and academic honors. The college’s address is a post office box, or suite number, or the website does not show a physical location for the college. The college’s website does not include information that a traditional college website might include, such as a mission statement, course requirements for specific programs, library resources, and faculty information. The college claims to be accredited by an association that either does not exist or is not recognized by the U.S. Department of Education. The name of a college is similar to a well-known and well-respected college. Determine if the college is operating legally. If the college claims to operate in Washington State, please contact WSAC by email at DegreeAuthorization@wsac.wa.gov or by phone at 360-753-7869. If the college is operating outside Washington, contact the higher education agency or attorney general’s office in the state where the school claims to be located. Ask if anyone has filed a complaint. Determine if the college is accredited by a recognized accrediting agency. First, ask the college if it is accredited and if so, the name of the accrediting agency. Second, determine if the accrediting agency is recognized by the U.S. Department of Education. Finally, confirm with the accrediting agency that the college is accredited as claimed. A college may be a diploma mill if it is not accredited or if it is accredited by an agency that is not recognized by the U.S. Department of Education. Review the U.S. Department of Education’s lists of recognized accrediting agencies. Talk with working professionals. Contact professionals working in your chosen field to see how they would view a degree from the college you are considering. For information on ITT, click here. Provides minimum standards for degree-granting institutions falling under the jurisdiction of the Degree-Granting Institutions Act, and investigate any entity the Washington Student Achievement Council (WSAC) believes to be subject to the jurisdiction of the act. Provides the agency with the legal authority to investigate student complaints involving the loss of tuition and fees due to an unfair business practice. Provides the agency with the legal authority to take possession of the transcripts from a closed school should it deem the records to be in danger of destruction. Defines what is considered a false academic credential and details the penalties for either issuance or use of a false academic credential. Provides the specific definitions for operation in the state as well as the requirements and standards for degree authorization. Provides guidelines for the permanent maintenance of student records. Defines what is unlawful and what the penalties are for issuance of a false academic credentials.